John DePasquale wrote in Edward-Elmhurst’s Healthy Driven Life that several things happen as we age that can affect our fitness level and everyday functioning. For example, decreasing hormones cause our muscles to atrophy, our bones to weaken and we become better “insulated” with fat.You don’t have to give in to aging without a fight! 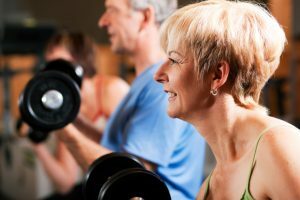 A proper exercise plan can not only slow these processes but potentially reverse them.